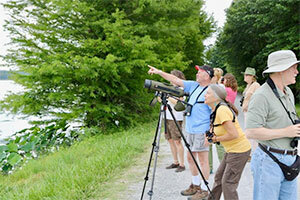 Unique outdoor adventures and over 200 species of birds await you on the Hatchie National Wildlife Refuge. Events include special speakers and demonstrations, hikes, nature walks and more. Perfect for seasoned birders or beginners. We’ve changed the date to coincide with Spring migration and we’re adding activities to make this year’s event more exciting than ever. Take a look at the schedule and register online at HatchieBirdFest.com. You can always call us at 731-779-9000 if you have questions.